After his mother died and being alone, a rather odd and out-of-the-ordinary eccentric multimillionaire named Jacob, decides to sign an agreement with a third party called Elysium to end his life. While selecting his coffin he meets a young woman, named Anne, who has also signed up for the same arrangement. Trouble soon ensues when the the young man and woman falls dearly in love, regains a purpose with their lives and now wishes to get out of the contract. Academy® Award winning director, Mike van Diem returns to the big screen with an off-beat, charming and romantic comedy, THE SURPRISE. Mike Van Diem won an Oscar for his debut feature film entitled “Character” back in 1997. This was in the Best Foreign Language Film category of the 70th Academy Awards. And in that same year, “Character” was also presented in the “Critics Week” section of the 32nd Cannes Film Festival. Despite many offers from Hollywood, he decided to stay in the Netherlands to direct several commercials. THE SURPRISE will be his return to the big screen. Shot in Germany, Ireland, and Belgium, THE SURPRISE will feature three spoken languages: English, Dutch, and Hindi. From winning an Academy Award for your debut film and taking so long to make a next one. Fear of failure? No, not as far as I know. I got many offers from Hollywood. 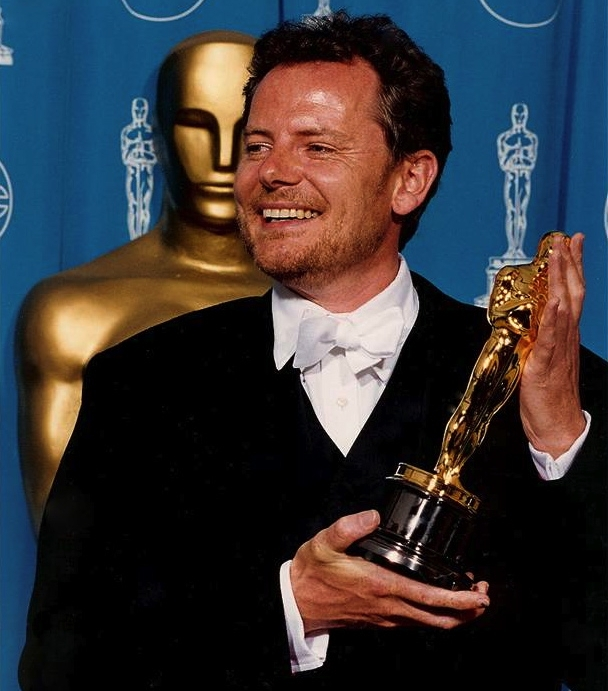 The first few years after winning the Academy Award I was asked to come to Los Angeles many times. Looking back on it, it’s not that surprising. You win an Academy Award because you’ve made a special, original and authentic film and Hollywood isn’t that interested in those films. It’s like receiving a Michelin Star and being asked to grill burgers. In 1990 someone told me about the short story DE SURPRISE by Dutch writer Belcampo, about a man and a woman who both wish to leave this world. But when they meet, they fall in love and want to get out of the deal, which cannot be done so easily. The idea is: only when facing death, you live life to the fullest and everyone should live their life like it’s their last day on earth. I thought this was a strong, universal story that I, as a writer/director, could adapt and personalise. To make a long story short: THE SURPRISE would be my first feature film. But the timing was very unfortunate. Belcampo had just died and his heirs had too much on their mind to think about filming rights. I had just graduated from the Netherlands Film Academy and wasn’t that experienced. Due to mutual lack of decisiveness I didn’t got the filming rights. But when I contacted Belcampo’s daughter a few years ago, she recognised me immediately and was enthusiastic about making a film of Belcampo’s story. After CHARACTER, you didn’t expect you to write and direct a romantic comedy, right? Perhaps not in that order, but THE SURPRISE and CHARACTER have more in common than you might think. Not only thematically, but also when you look at the design: again quite grand, real cinema, while the story is again timeless and universal. Besides that, THE SURPRISE isn’t a dime a dozen, like other romantic comedies. The film is very entertaining and romantic, but doesn’t fit in your average romcom list. Casting actor Jeroen van Koningsbrugge as the main character, who is ultimately funny but also dead serious, is quite remarkable. Why him? While writing the script some aspects of Jeroen’s role reminded me of Peter Sellers in BEING THERE and Jim Carrey in THE TRUMAN SHOW. Not only the eccentricity of the character, but also the tragic loneliness combined with a very friendly, almost childlike openness. This was something Robin Williams could also play very well. I thought that perhaps I needed a comedian to play the lead instead of a ‘normal’ actor. I had seen Jeroen in the Dutch television show Draadstaal where he had played some moving scenes with the exact childlike innocence I was looking for. He became my one and only choice. Without him I wouldn’t have made the film. Luckily he was very enthusiastic and also accepted my only demand: he needed to lose at least twelve and a half kilo’s. In the end he managed to lose seventeen. He was extremely disciplined. Why did he need to lose so many kilo’s? I mainly knew Jeroen from Draadstaal, but I realised that most people in the Netherlands knew him from Ik hou van Holland, a big Dutch TV show airing on Saturday night. In this program he is mostly a sociable and Burgundian guy who keeps the party alive. That image contradicted with his credibility as Jacob in THE SURPRISE. Of course, Jeroen is a very skilled actor and will make you forget about this other image instantly, but losing the weight combined with his clothing and the international setting gave him some extra support. How did you cast Georgina Verbaan? That wasn’t so hard. There are very few good female comedians in the Netherlands and even less that could play a female lead. For the role of Anne we only invited a handful of actresses. We did some screen tests and raised the bar higher and higher every time. In the end, Georgina was the overall winner and I’m sure that none of the other actresses envy her for this victory. When you watch the film it seems like this role has been written especially for her. One day before the principal shooting of THE SURPRISE, Dutch comedian Claudia de Breij praised Georgina’s acting skills in the Dutch television show De Wereld Draait Door and said that Georgina deserved a great project where she could use all of her talents. THE SURPRISE could be that project. And now I have finished the film, I’m absolutely sure of it. Georgina plays a lovely, versatile role and has excellent chemistry with Jeroen. Jan, who played the lead in CHARACTER, wasn’t supposed to be in THE SURPRISE. Jeroen plays a multimillionaire with an enormous estate and initially I had written the part of a butler in the story, the only person Jacob could talk to. I started casting but couldn’t find an actor with the charisma to make the role of the butler work. Jan has the charisma, but isn’t the butler type of guy. So I rewrote the part of the butler and made him a gardener, which suited Jan better. Jan and Jeroen immediately connected during the first read of the script and their chemistry is visible on screen. Jan also connected so well with Georgina. Jan really enjoyed making this film and we surely enjoyed working with him. Back to the beginning: if you hadn’t won an Academy Award, would you have made more films? Who knows? Perhaps for financial reasons, if my job as a director of commercials hadn’t gone so well. But economic necessity isn’t a strong motive for making a good film. I have learned a lot in the meantime and lived rather happily. So, no regrets about winning the Academy Award? Ask an ice skater if he regrets winning a medal and he will say no. It’s an amazing experience that I can recommend to everyone. You might think that every advance has its disadvantage, but I wouldn’t say that. Except everyone keeps nagging about when you’re going to make your next film. But that’s a prize I’m willing to pay. Watch #TheSurpriseMovie beginning May 11, 2016. For more details, visit Solar Pictures on Facebook, Twitter and Instagram @solarpicturesPH.